We create, maintain and support .NET, COM and ActiveX components for Windows developers. We take pride in high quality and support we're providing, making our components best choice in specific areas. wodSSH.NET is (Secure Shell Client) component, as well as Telnet and Rlogin component, which handles client-side of these protocols. It's fully implemented in managed C#, and tested on Windows platforms - but has no requirements for windows win32 libraries. wodWebServer ActiveX and .NET now support lightweight and simple WebSockets implementations. Add full duplext HTTP based communication to your applications with few simple lines of code. Just add two events (WebSocketConnect and WebSocketData), and use two new methods (User.WebSocketReceive and User.WebSocketSend) to make it quickly work. Sample app is available in setup package for both components. We have updated all our SSL enabled components with latest OpenSSL 1.0.2 that contains TLS_FALLBACK_SCSV extension, and RSA_EXPORT key attack patch. No further changes are made on the components, but for POODLE you still have to force TLS security through appropriate property. Please request update to obtain latest version. Our new product replaces wodVPN, and is very improved P2P component, available cross platform. This includes desktops (Windows, Linux, Mac OSX, BSD) and smartphones (iPhone, Android, Windows Phone 8). It can, as wodVPN, redirecting all network traffic (including ICMP, TCP and UDP packets), transfer files, forward ports, send small messages..
We take care to connect two peers (using TCP and UDP transport), giving highest possible speed. You take care of services that go through the connection. View more details , or download demo. ALl our components are tested and working in Visual Studio 2017. We have integrated new obfuscator and made code tweaks to give you product quality as it was with VS2005/VS2008/VS2010/VS2012/VS2013/VS1015. If you're using older versions of our components, you should request update to obtain latest version which is fully VS2017 compatible! We've updated our installers and components so they are ready and compatible with Windows 10. Administrative privileges are required only during installation (as with most other installers), but you can use Samples and the component as regular user. wodVPN is capable of redirecting all network traffic (including ICMP, TCP and UDP packets) arriving on virtual network adapter to remote wodVPN peer - giving you real "LAN over internet" VPN experience. Virtual network adapter is provided free of charge to wodVPN customers. Typical example is that you can actually 'ping' remote wodVPN peer from command prompt, and access all of its network resources (shared files, web server, mail, remote desktop), all encrypted. It appears just as remote person is sitting next to you! 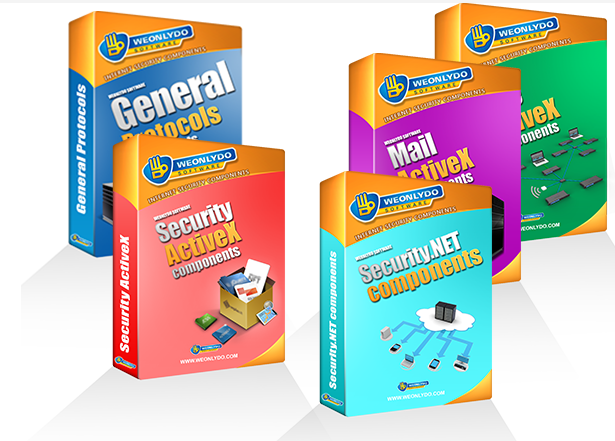 View more details , or download ActiveX demo. Your professionalism is reflected into your email, your product and your web site. I am confident that these will make the difference. R&D Analyst at InfoPharm Inc.